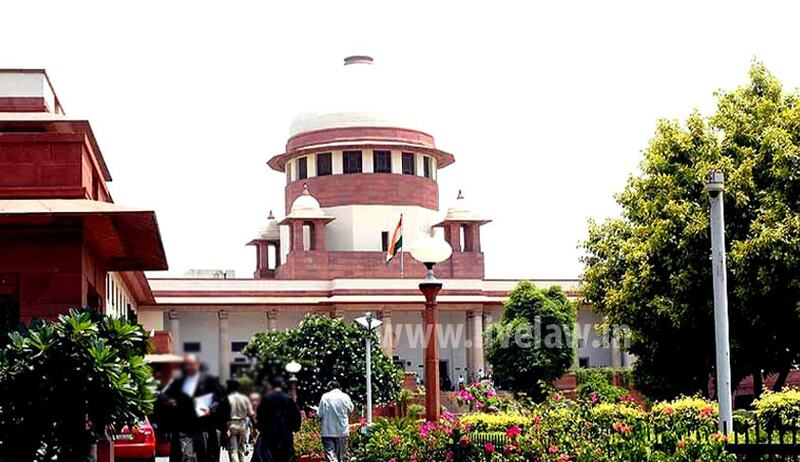 The Supreme Court today formally issued notice to the Centre and some States on a petition which sought a ban on cow protection vigilantes for indulging in violence. The bench headed by Justice Dipak Misra issued notice to Rajasthan, Uttar Pradesh, Madhya Pradesh, Gaujarat, Jharkhand,Karnataka etc. where such vigilante groups are valid and given licenses. "We want their responses" the bench said seeking replies within four weeks. Agreeing to adjudicate on the raging controversy for the first time, a division bench of the Supreme Court headed by justice Dipak Misra on October 21 last year said it will examine the issue if the cow protection vigilate groups across the country should be banned for allegedly indulging in violence. “OK. Let us go though the petition in detail. Yes we will examine the issue”, the bench had told Sanjay Hegde, the senior lawyer who appeared for social activist Tehseen Poonawalla who has filed a PIL on the issue and directed the registry to serve a copy of the petition to the Union of India “so that they can appoint a lawyer” to put forth their stand. Poonawalla filed the petition in August last year seeking direction to the Centre and some states to take action against so-called cow vigilantes, who are allegedly spreading violence and committing atrocities against Dalits and minorities. He said the violence committed by these Gau Raksha groups have reached to such proportions that even Prime Minister Narendra Modi recently declared them as people who are "destroying the society". Issue a writ of certiorari or any other writ or direction to hold Section 12 of the Gujarat Animal Prevention Act, 1954, Section 13 of Maharashtra Animal Prevention Act, 1976, Section 15 of Karnataka Prevention of Cow Slaughter and Cattle Preservation Act, 1964 as Unconstitutional. It alleged these groups were committing atrocities against Dalits and minorities in the name of protection of cows and other bovines and they needed to be "regulated and banned in the interest of social harmony, public morality and law and order in the country". It also sought a direction to remove the alleged "violent content" uploaded on social media and hosted by the cow protection groups. The plea sought to declare as "unconstitutional" section 12 of the Gujarat Animal Prevention Act, 1954, Section 13 of Maharashtra Animal Prevention Act, 1976, and Section 15 of Karnataka Prevention of Cow Slaughter and Cattle Preservation Act, 1964, which provide for protection of persons acting in good faith under the Act or rules. "These laws and the protection granted therewith act as a catalyst to violence perpetrated by these vigilante groups," it said. The PIL has arrayed as parties Ministry of Home Affairs, Ministry of Agriculture and Farmers Welfare, governments of Gujarat, Maharashtra, Uttar Pradesh, Karnataka, Rajasthan and Jharkhand. Seeking action against the vigilantes, the petition said the atrocities committed by them were punishable under various provisions of IPC and under the Scheduled Caste and Scheduled Tribes (Prevention of atrocities) Act, 1989. It alleged that in many cases, the police and other probe agencies were either "complicit in such illegal actions or have merely been mute spectators against such evil". The plea said the actions of these groups were in complete violation of Article 21 of the Constitution as it takes away the victims "Right to life and personal liberty".